Slavic Missionary Service is grateful to the Lord that the transition of national workers from a small town to a large city has transpired smoothly and successfully. Slava and Olya Rodnev have now been serving with the Levkovskis at Bethany Church in Gomel, Belarus since February 2018. Pastor Alexander Levkovski will continue serving the church as Pastor Emeritus, and he has been instructing, guiding and encouraging Slava in his duties as the new pastor of the church. Since arriving in Gomel, Slava has been able to finish his studies as a graduate student in Finances and Economics. He has now received his degree and desires to use his education in his ministry. Olya has found employment, and the children have assimilated into the school system without any major difficulties. The church membership accepted the Rodnev family wholeheartedly, and many new activities have been started in the church. Slava has concentrated especially on the youth ministry with exciting results. A Bible study has been started for teens who desire to know more about the Christian life, and some even are interested in being baptized. Slava is also skillful in construction. With others from the church, a playground structure has been constructed for the children of the church. A summer camp was conducted for the children during July, and a teen camp was arranged in August. Praise God for many good decisions. A family camp was also conducted for those couples who have decided to adopt or work with foster children. Some of the families are not believers; therefore, it was a wonderful opportunity to show what it means to be a family that worships and serves Jesus Christ as Lord and Savior. 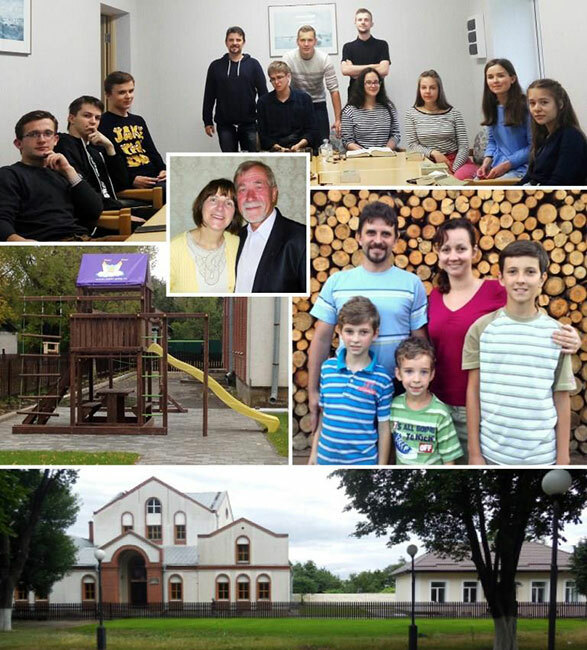 Pray that God will continue to assist the Rodnevs and the Levkovskis (SMS missionaries), as they minister together to the church and community in Gomel. Gomel has a population of 600,000; therefore, there are an abundance of opportunities to work and witness for the Lord Jesus Christ.